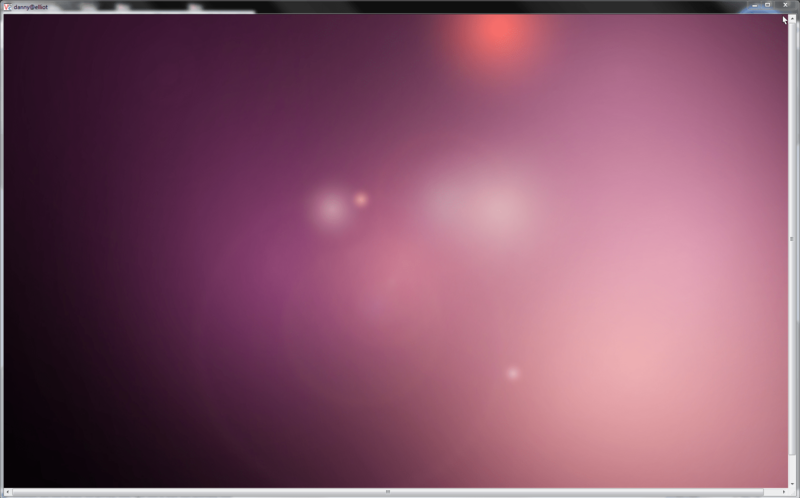 When I use VNC Client to remote desktop onto my Ubuntu 10.04 I got the background and maybe even the Gnome panel but the windows and programs were not appearing on the screen. However my mouse and clipboard was still working so I had ended up VNC’ing to the box and switching the display to another source. 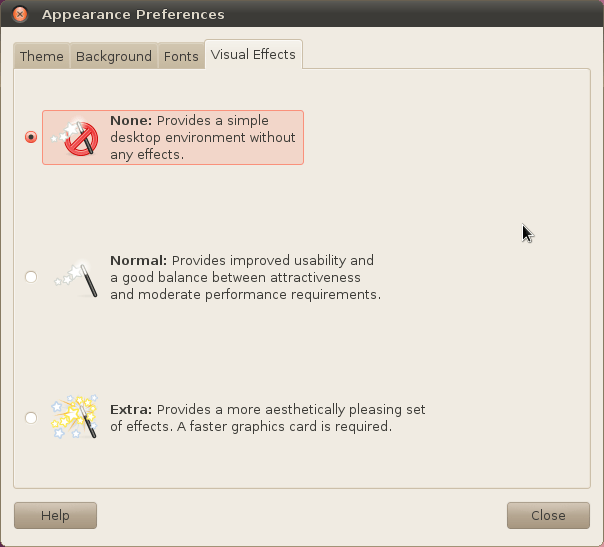 To fix this problem just disable the visual desktop effects under System > Preferences > Appearance Under the Visual Effects tab set it to None. I.T software professional always studying and applying the knowledge gained and one way of doing this is to blog. Danny also has participates in a part time project called Energy@Home [http://code.google.com/p/energyathome/] for monitoring energy usage on a premise. Dedicated to I.T since studying pure Information Technology since the age of 16, Danny Tsang working in the field that he has aimed for since leaving school. View all posts by Danny →	This entry was posted in Linux and tagged Gnome, gnome panel, RDP, remote desktop, Ubuntu, visual effects, VNC. Bookmark the permalink. Great tip, I had this issue on my old install.